Lilah understands her dreams, even if she doesn't want to. The nightmare is actually her reality, even if she doesn't remember it clearly. She only knows that she was attacked, a man is dead, and she and Kane are the only ones who know the truth. Or are they? She thought she had left this all behind, until a series of murders has led her back home, to the place she ran away from shortly after the attack that sent her spinning out of control. She doesn't know who to trust. Her former best friend, who is now married to one of the cops who works for her brother? Or her father, whose interest in running for public office has him making new friends with some of the seedier crime families in New York? All Lilah knows is that someone knows her secret and they are willing to kill to get her attention. This is a fast-paced thriller with a lot going on. Lilah is a great profiler. Despite her family and personal history of befriending someone with mob ties, she left it all behind to pursue her dream – she is now an FBI agent. She is darn good at her job and despite having some difficulty with the local police, her boss has her back. But when similar MOs show up across state lines, she has to travel back to her hometown where her secrets have been buried. What awaits her is a strange cat and mouse game – one where you are definitely unsure who is playing. You have Lilah's family: brother and father who we are given different impressions of – although I must say that her father is downright unpleasant. Her brother, well, he seems a little clueless. Then you have her past lover, Kane. He is an enigma all in himself. He wants Lilah back and they share a deep secret that is mentioned time and time again. The book leads you to a cliffhanger ending, so I think that readers should be aware. But I hope that it will lead to a conclusion that will leave me breathless. You're almost to the pinnacle of the story and that's where you're left hanging. The dynamic between the two main characters is complex, deliberately provocative, and intense. I can't wait to read more. Firstly, it needs to be said that Lilah Love is an amazing woman. Strong, intelligent, beautiful, cunning, and brilliant at her job as an FBI profiler. When she returns home to the Hamptons from LA to investigate a series of murders, she discovers that her family and former lover are likely mixed up with the murders. This was such an exciting book. I just loved following Lilah as she tries to uncover what is actually going on. I wanted her to tear down all the people who were being obstructive and difficult and who clearly think they are smarter than she is. I was desperate to see her beat them all. This story has so many twists and turns. I’m not sure who Lilah should be trusting, and my ideas about the truth of what is actually going on and why kept changing. This story kept me on my toes. Murder Notes is a fantastic start to a brand new series from Ms. Jones and I can’t wait for the next instalment to see what happens next. I hope the wait isn’t too long. 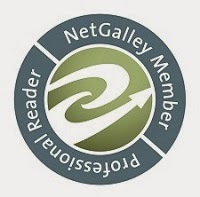 4.5 stars rounded up... because it is just that good! Ms. Jones is a very talented author and this slight shift from romance with mystery on the side, to really the other way around is very successful. Don't get me wrong, this is a very sexually charged novel, with more intrigue and issues of a romantic nature than can be rightfully fathomed, but the mystery is wonderful. Lilah is a wonderful lead and along with all her courage, intelligence, and bravado, we also get to see the vulnerable side of her too. I loved the scenes where she forces herself to be sensible... but not scared. She is fabulous as an FBI agent, as an ex-lover, and as a daughter. She also tells us her story in such a refreshingly honest way. And the fun that people have with her name... she is the most patient woman I know on that score! There are many other important figures, although Kane has to be the most notable. We will have to wait and see how the series continues to work out whether he is a feature for now or forever, but he is deliciously dark, mysterious, and clearly Lilah is an important person in his life, somehow. It does end on a bit of a cliff (but not in too stressful a manner, thank goodness! ), but there are a few pages at the beginning of the next book which just give you a degree of 'phew' to make it all feel okay. I must admit I generally don't read forward, but in this case, it was an imperative. Very keen to see what happens next in this fabulously written and very exciting new series. 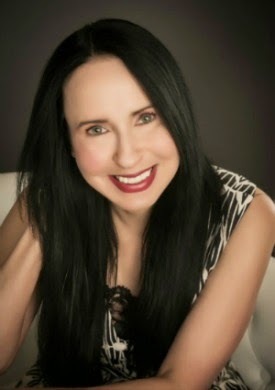 Lisa Renee Jones is the New York Times and USA Today bestselling author of the highly acclaimed Inside Out series; the Dirty Money series; the White Lies duet; the Tall, Dark, and Deadly series; and The Secret Life of Amy Benson series. Murder Notes is the first book in the Lilah Love series. 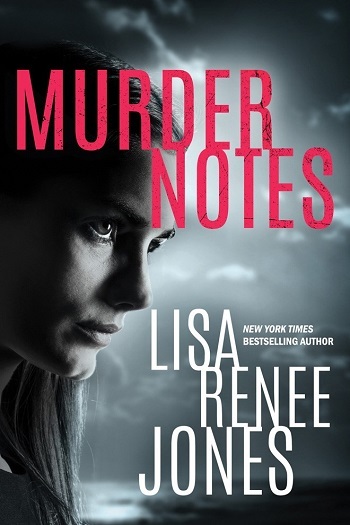 Reviewers on the Wicked Reads Review Team were provided a free copy of Murder Notes (Lilah Love #1) by Lisa Renee Jones to read and review.